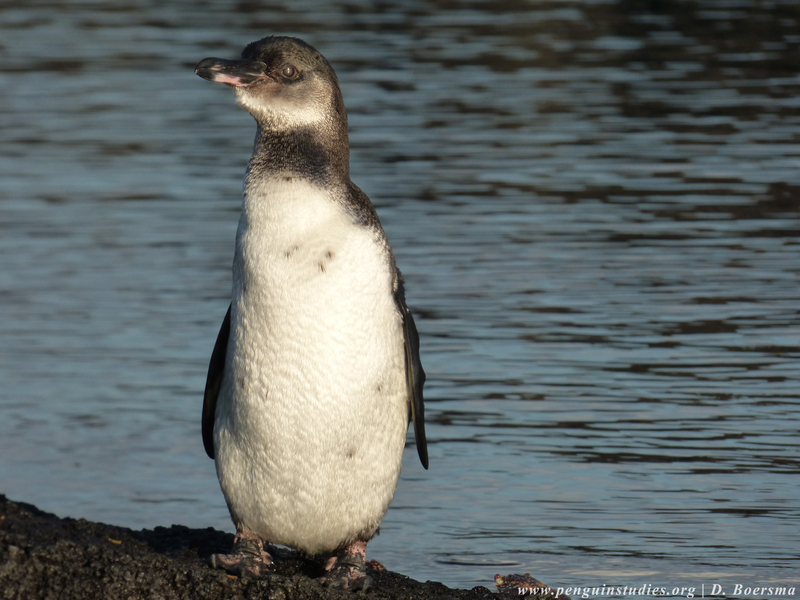 Humans are not alone in continuing to support offspring who have “left the nest.” It happens in Galapagos penguins, too. In a paper published online March 13 in The Wilson Journal of Ornithology, a research team led by University of Washington biology professor Dee Boersma reports that fully grown Galapagos penguins who have fledged — or left the nest — continue to beg their parents for food. And sometimes, probably when the bounty of the sea is plentiful, parents oblige and feed their adult offspring. In many seabird species, parents continue to feed their offspring after fledging, at least for a limited period of time. But this is not true for the world’s 18 penguin species. 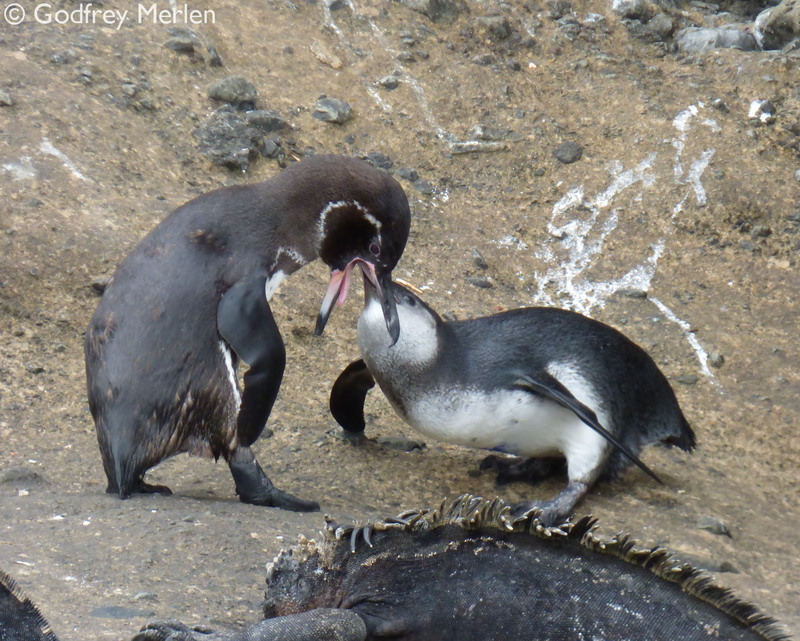 Galapagos penguins are now only the second penguin species — after Gentoo penguins — to demonstrate post-fledging parental care. And Boersma does not expect to find more. 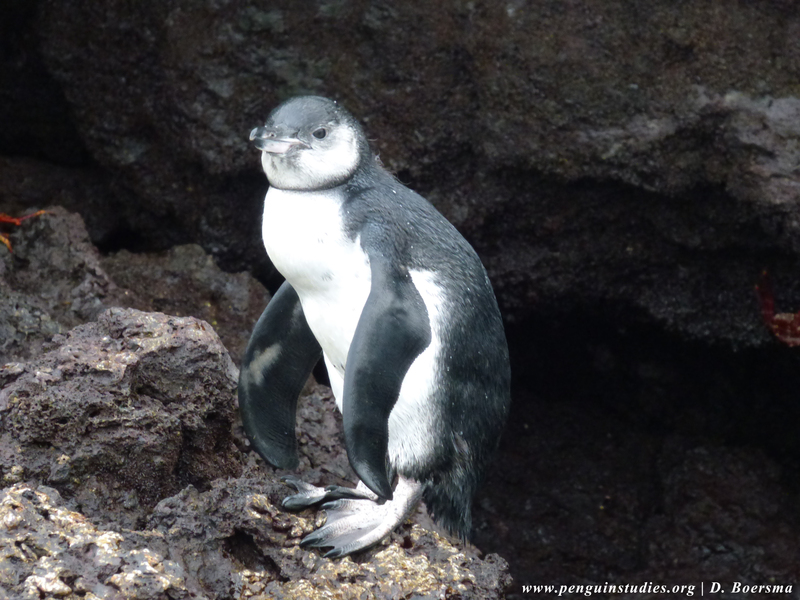 This behavior in Galapagos penguins, a species she has studied for more than four decades, may be an adaptation to the constantly fluctuating availability of food in the archipelago they call home. 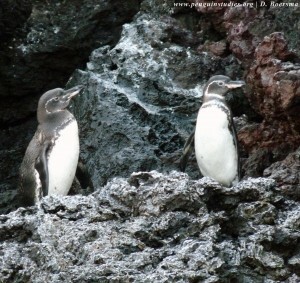 Boersma’s team observed five instances of post-fledging parental care during detailed field observations of wild Galapagos penguins from February 2006 to July 2015. Newly fledged adults — called fledglings — are about 60 days old and sport a distinct appearance due to their lightly colored feet and cheeks, as well as a relatively new and spotless coat of adult plumage. The researchers saw fledglings on the beach beg for food — using distinctive vocalizations — as adults emerged from the water after feeding. Some adults, presumably unrelated to the fledgling, would peck at the fledgling or move away. But the scientists also witnessed scenes in which a fledgling approached an adult, begged and received regurgitated food from the compliant adult. In most penguin species, including the Galapagos, parents and offspring recognize each other using a variety of cues such as vocalizations and location. Based on the juveniles’ begging behavior, Boersma believes that adults who fed a fledgling were likely its parents. 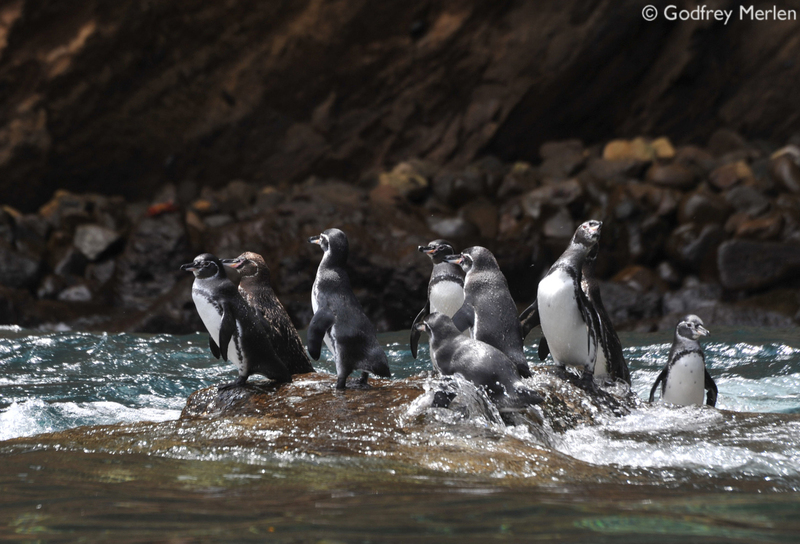 “Galapagos penguins have adapted themselves not to the seasons, but to the whims of the bounty of the ocean,” said Boersma. 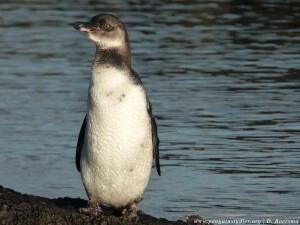 The research was done in collaboration with the Galapagos National Park. Co-authors were UW researcher Caroline Cappello and Galapagos biologist Godfrey Merlen. The research was funded by the David and Lucile Packard Foundation, the Galapagos Conservancy, the Leiden Conservation Foundation, the National Geographic Society, the Detroit Zoological Society and the Sacramento Zoological Society.